The arena of mental health has been stagnating for some time, as there is no single gene known to cause psychiatric illnesses there are no simple medical solutions. Historically the focus on mental health topics has been placed upon disorders and the cure. The majority of methods in psychology have been developed as forms of intervention for a therapy setting and not as a proactive education. When you consider that every fourth person on the planet faces some kind of mental health problem, it is alarming that the importance of personal and social strategies for mental wellness has been massively overlooked for years. It is in this context that psychiatrist Dr Helena Lass has put forward the hypothesis that early proactive intervention in the form of structured inner education increases quality of life and decreases the chances of stress, burnout, depression, anxiety etc. all of which have become epidemic in their proportions and have serious consequences on individuals, families and companies alike. The scientific paper by Dr Lass "Developing Intra-Personal Skills as a Proactive Way to Personal Sustainability - The Preventative Side of the Mental Health Equation" brings forward a compelling argument for a proactive approach to mental health. Within this article, Dr Lass outlines a new proactive approach to mental health as something that everyone should actively strive towards. The scientific paper shifts the focus from the external reactive problem solving approaches towards a more proactive education on the mental wellness, whereby people who are still well can learn new skills to prevent further escalation of negative states into illness. Dr Lass researched a wealth of scientific papers and found that “there is strong and repeated evidence that intra-personal events have a direct effect on the function and structure of the brain and therefore the skills to direct these events can most likely lead to changes in wiring and neurotransmitter activity in the human brain”. However, “none of the existing modalities in evidence-based psychotherapy has provided an applicable education towards re-establishing the human’s most natural state, where we identify with Self rather than ego and provided methods to systematically discontinue the automatic reactions that people have started to consider normal and become identified with.” That is why the scientific paper brings into focus the internal domain and sets forth that basic intra-personal skills formulate the cornerstone of self-leadership. “Until people are educated to exercise methods of conscious control over their emotional activation, it is only a matter of time when some of the destructive automatic emotional-mental complexes get triggered and initiate a cascade of problematic events, including irrational or destructive behavior.” Only when people learn to discontinue these automatic complexes can they re-establish their actual identity with the Self giving them the freedom to decide whether or not to engage in an internal reaction, as well as direct all internal functions in an optimal way. The shift from the external to the internal points out that mental wellness is a vast arena relating to quality of life and not only associated with mental illnesses. The article presents a path to future mental health related studies and points out possible new solutions. When people learn and realize how their inner domain functions, a more sustainable way of handling as well as preventing problems can emerge. Dr Helena Lass is a practicing psychiatrist who used to work for state run hospitals and now runs her own private medical practice. She has focused on preventative mental health for almost 10 years. As a culmination of her work, she founded Wellness Orbit, a global mental wellness e-learning platform with the aim of improving mental wellness in workplaces around the globe. 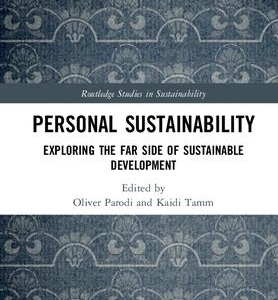 The scientific paper "Developing Intra-Personal Skills as a Proactive Way to Personal Sustainability - The Preventative Side of the Mental Health Equation" in the book "Personal Sustainability. 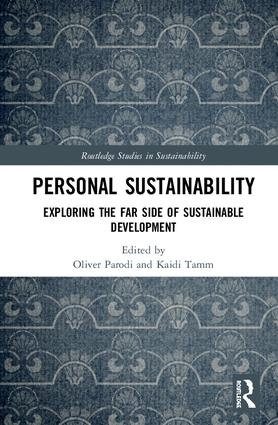 Exploring the Far Side of Sustainable Development" (Edited by Oliver Parodi, Kaidi Tamm) was published 26.03.2018 by Routledge (London and New York). Routledge is the world's leading academic publisher in the fields of Humanities and Social Sciences. Responsible for Publishing thousands of books and journals each year, featuring scientific journals and papers from a wide range of scholars, instructors, and professional institutions from around the world.